Hide deals from seller "Makeup by Geneise"
Hide deals from category "Makeup Artists"
Limit 1 per person. Valid on in-home makeup application and lesson. By appointment only. Promotional value expires 365 days after purchase. Highlight your beauty with this deal for 50% off makeup services from Makeup by Geneise, available within 25 miles of Park Forest ($90 value). These in-home services include a makeup application for a special occasion and a makeup application lesson. Geneise has been a makeup artist for four years following her success in cosmetology school. She offers makeup services for special events, so you can paint a pretty look for your next prom, wedding or photo shoot. She pays close attention to detail and guarantees customer satisfaction. Give yourself a fresh new look with this stunning deal. 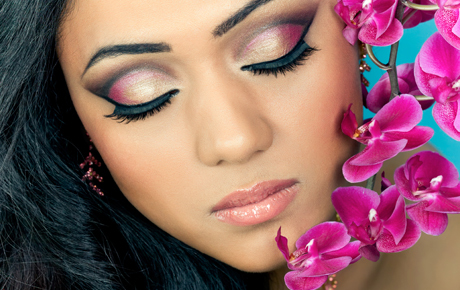 A makeup stylist in Park Forest that offers a variety makeup application services.